Maryland has a little bit of everything: sprawling suburbs, bustling cities, grand watersheds, and rich farmlands. One county, located 23 miles from Washington, D.C. and situated next to the Potomac River, holds a rich history that dates back to 1658. 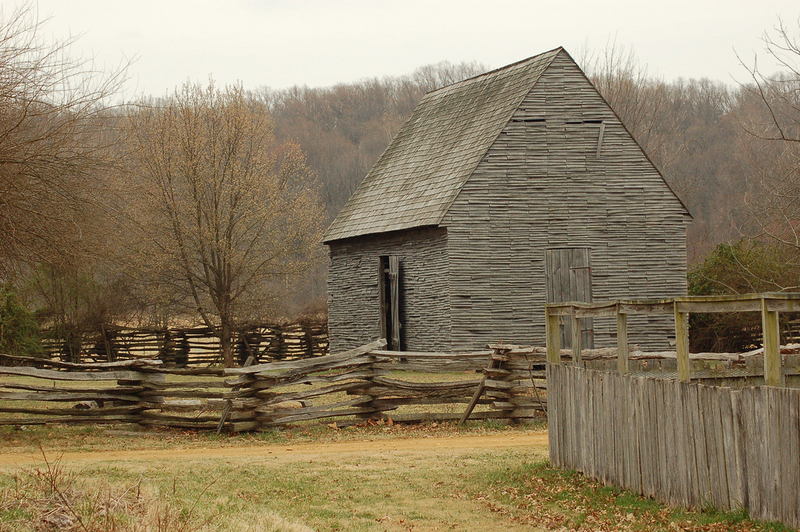 Charles County, MD, is home to several hidden architectural gems, all of which hold significance as building blocks for the original colonial peoples of the United States. Consisting of the Port Tobacco Courthouse, Stagg Hall, and Burch House, Port Tobacco Village was settled by the English in 1634 and was once the second busiest seaport on the Eastern Seaboard due to its direct access to the Chesapeake Bay. According to Charles County’s official website, the village’s history “extends from the prehistoric Native American inhabitants of Potopaco to the current residents of the town.” Visitors can take tours of each site within the village and learn more about this historically-rich area, which includes tales of the English colonization, the Civil War, American slavery, Native American history, and even one of Maryland’s oldest ghost stories, The Legend of the Blue Dog. Located near the Potomac river in Nanjemoy, 30 miles from Washington, D.C., Mallows Bay is home to a fleet of sunken Navy Ships – some of which date back to the Revolutionary War. 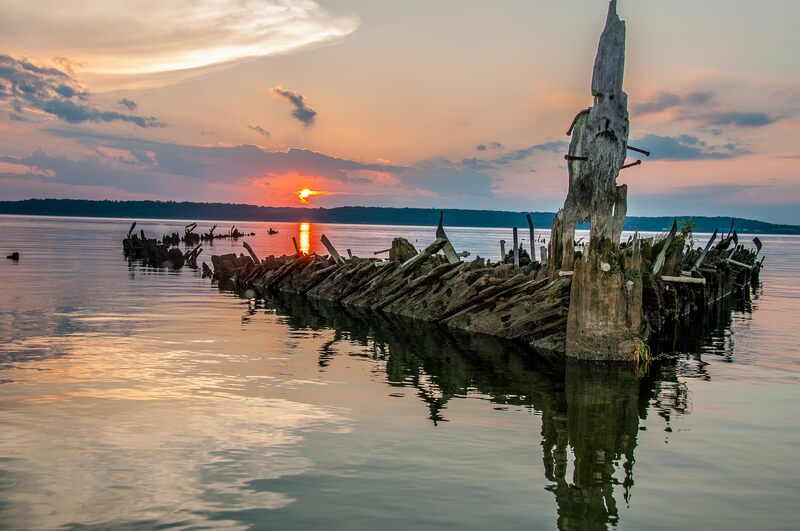 Charles County’s official website credits Mallows Bay with holding the “largest ‘Ghost Fleet’ of the World War I steamships” in the Western Hemisphere. It was also the first area in Chesapeake Bay to be designated a National Marine Sanctuary. Once the Navy no longer had use for the ships it sunk them in the bay, and they now serve as “ecological habitats teeming with wildlife.” Learn more about the Ghost Ships at the Chesapeake Conservancy here. Considered the “oldest continuously-active Jesuit parish in the United States,” this historic site was founded in 1641 by English colonists who sought out religious freedom. Settling among the Potomac Indians, Fr. Andrew White soon baptized the local “Indian Tayak or Chief,” and went on to serve the tribe, English colonists, and slaves – even though laws at the time prohibited it. 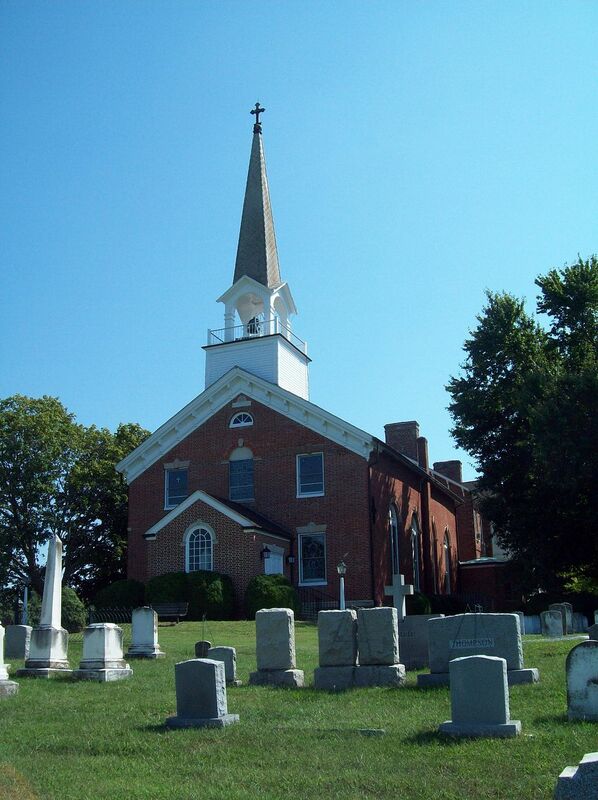 St. Ignatius Catholic Parish was built in 1798 and restored after the Civil War in 1868. The parish is attached to St. Thomas Manor, a “two-story, Flemish bond brick structure of Georgian styling” built in 1741. The manor is considered one of the most notable structures of its kind in Southern Maryland and is recognized as one of the oldest Jesuit residences in the world. 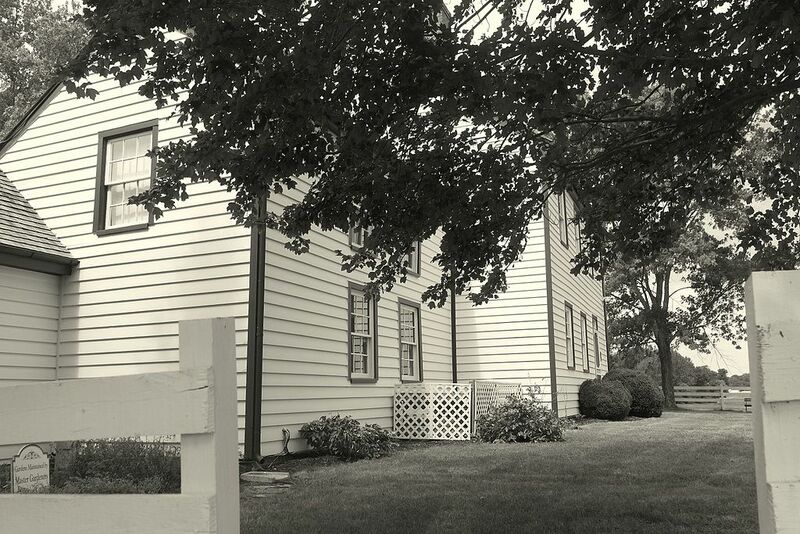 Famous for being the abode of the country doctor who treated the broken leg of Abraham Lincoln‘s assassin – John Wilkes Booth – Dr. Samuel Mudd’s house is now a historical site and museum located in Charles County, Maryland. 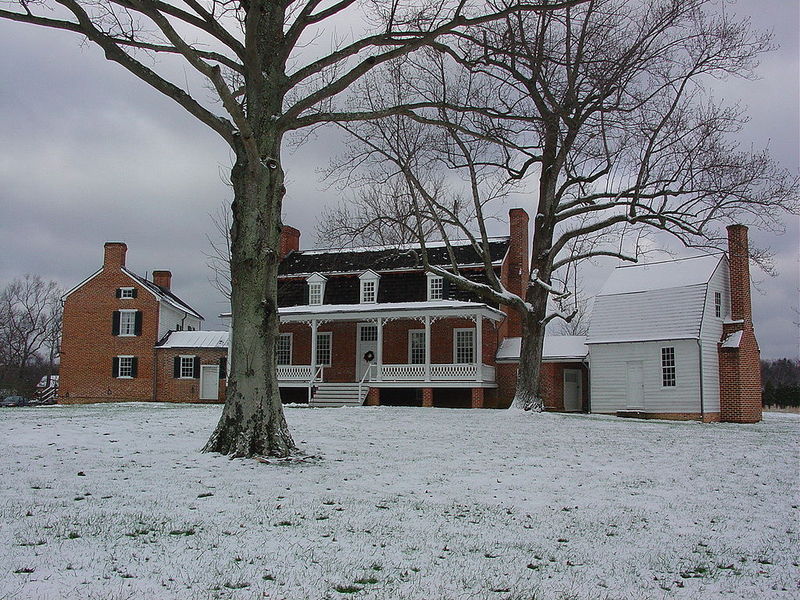 Approximately 30 miles from Washington, D.C., the historic house was set in Oak Hill, the family’s plantation, and according to the official website, it remained in the family for nearly two centuries. The two-story Victorian frame farmhouse is currently furnished with original pieces, and open to the public. Located in Port Tobacco, MD, right outside of Waldorf, a two-part frame, two-story monastery dating back to 1790 still stands. The site is the first Carmelite Monastery in the United States and features a pitched gable roof in an austere, unadorned style. In 1831, the property was abandoned when the monastery moved to Baltimore, but was then restored again in 1933 and became a registered historical site in 1973. 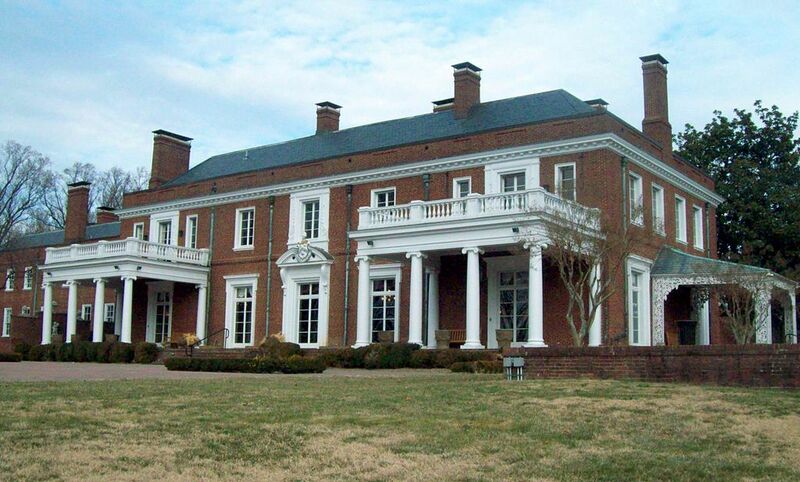 Built in 1929 next to the Potomac River, the Oxon Hill Manor is a Classic Revival Mansion featuring formal English gardens, a circular staircase, and a reflecting pool. According to the Prince George’s County Parks and Recreations, this two-story neo-Georgian brick abode was designed by architect Jules Henri de Sibour, and has large flanking wings, a hip roof, and exquisite decorative detail. The original manor was destroyed in a fire in 1895, and may have even been occupied by Nathaniel Washington – a cousin of of the first United States President. *Technically not in Charles County, but still very close. According to the National Park Service, the National Colonial Farm is a historical museum that “depicts a Maryland middle-class family farm on the eve of the American Revolution.” Although not situated directly in Waldorf, MD, the National Colonial Farm is located on the 200-acre site that is the Piscataway National Park, and teaches visitors what domestic and agricultural life in the 1770s was like. 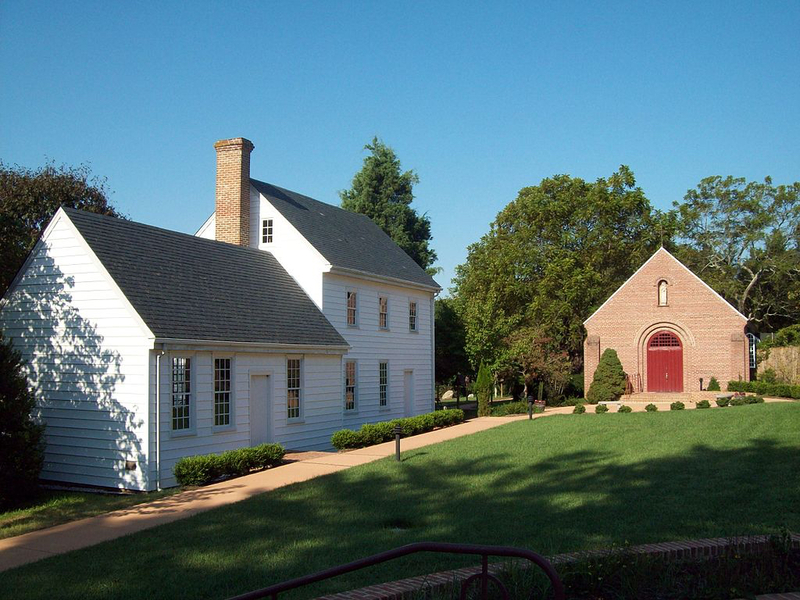 Attendees can visit the 18th century museum, complete with a replica out-kitchen, and even hike a series of trails that wind through the wetlands with spectacular views of Mount Vernon. Thomas Stone, one of the original 56 signers of the Declaration of Independence, spent the majority of his political career living in Haberdeventure. 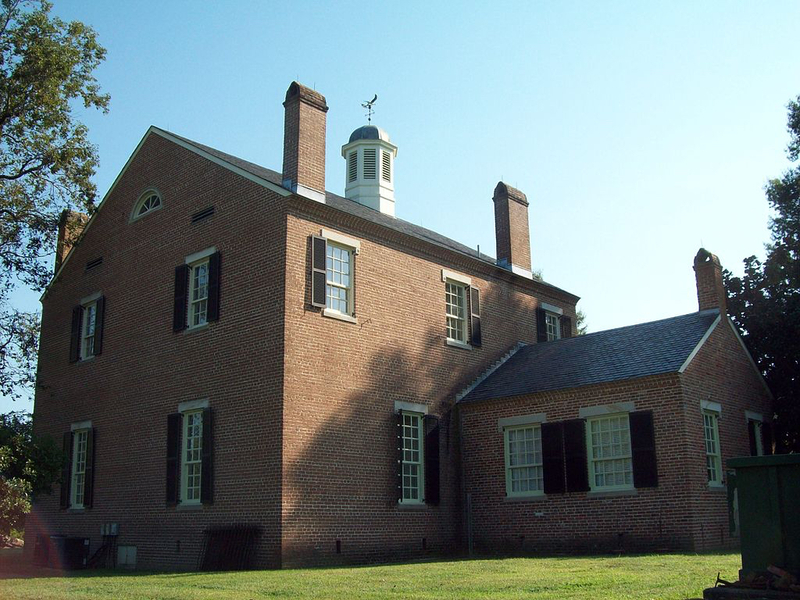 A mere 25 miles from the nation’s capital, Thomas Stone National Historical Site is now a National Historic Landmark in Charles County. The house was built in 1771 and stayed in the Stone family until 1936, when it was purchased by the National Park Service. According to Historic Port Tobacco Maryland, the “irregular five-part dwelling [is] composed of three different early building methods and arranged in an arc,” and visitors can learn about Stone’s life, as well as the history of the Declaration of Independence. Check out the map below to plan your route for an architectural tour of Charles County’s hidden gems.